Exotic animal, tropic jungle forest. Cute amphibian with dark red eye . 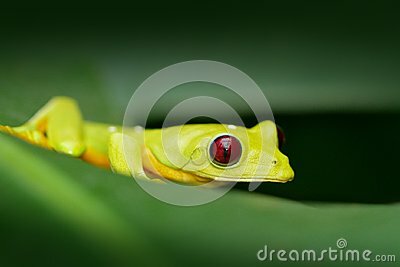 Flying Leaf Frog, Agalychnis spurrelli, green frog sitting on green leave.